Log into WHM as root. 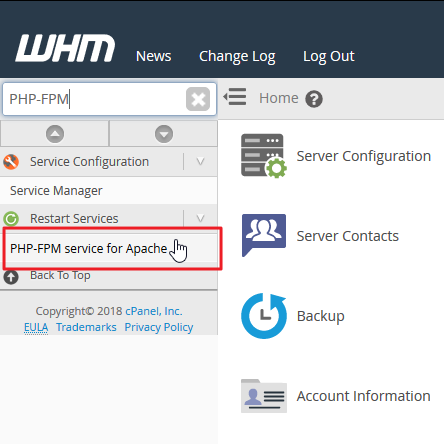 Search "PHP-FPM" and select PHP-FPM service for Apache. 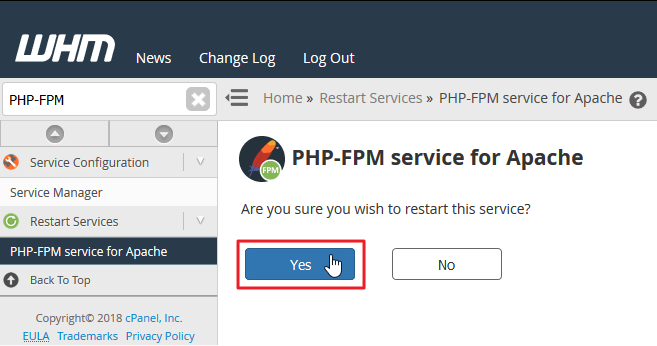 Select Yes to restart the PHP-FPM service. Ensure you have root access enabled in AMP. SSH into your server as root. You should be able to see the updated website after clearing your browser cache or using a private window. If installed, you may also want to clear the Nginx cache using cPanel Cache Manager or SSH command service nginx restart or systemctl restart nginx. You can read more detailed information in our in-depth PHP-FPM article and comparison between it and SuPHP.